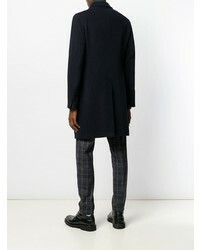 If you're on the hunt for a casual yet dapper outfit, reach for a Tagliatore Double Breasted Coat and black sweatpants. Both garments are super comfortable and look great when worn together. 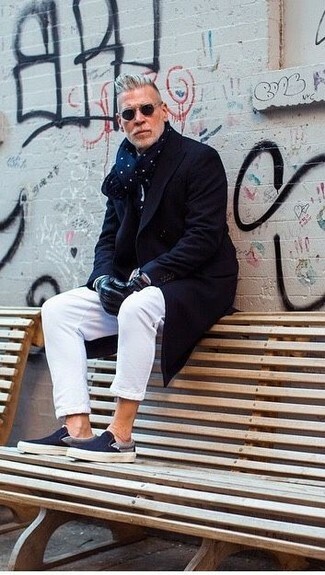 Add a sportier vibe to your look with white leather low top sneakers. 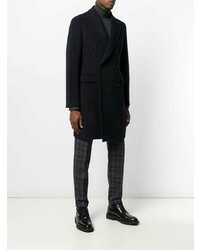 Opt for a Tagliatore navy overcoat and black dress pants for a sharp, fashionable look. Black leather dress boots complement this ensemble quite nicely. 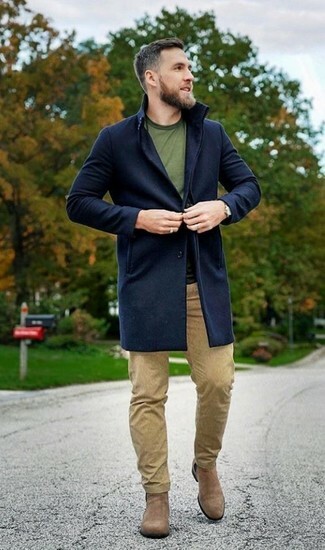 This combination of a Tagliatore Double Breasted Coat and white chinos is very easy to throw together in next to no time, helping you look amazing and ready for anything without spending too much time searching through your closet. To break out of the mold a little, rock a pair of navy canvas slip-on sneakers. 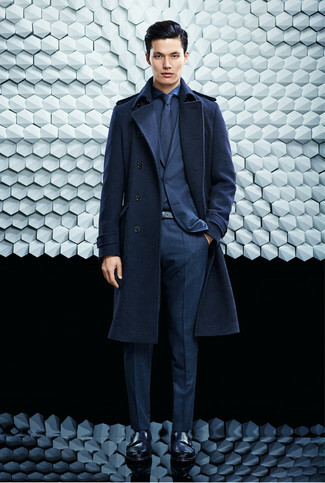 Wear a Tagliatore navy overcoat and a grey suit for a sharp, fashionable look. Brown leather derby shoes will deliver a more relaxed feel to your ensemble. 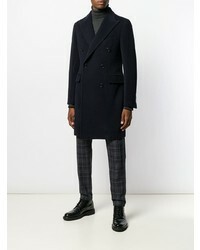 For a smart casual getup, consider pairing a Tagliatore Double Breasted Coat with black chinos — these two pieces fit really well together. Break up your getup with more casual shoes, like this pair of black slip-on sneakers. 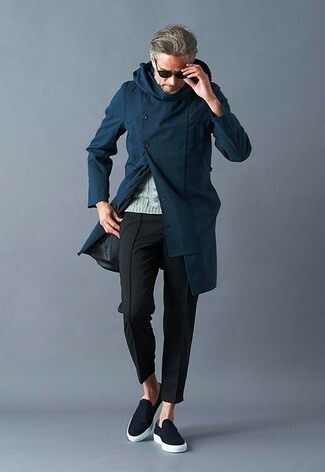 This combination of a Tagliatore navy overcoat and khaki chinos is super easy to pull together without a second thought, helping you look sharp and ready for anything without spending too much time digging through your closet. Up the cool of your getup by wearing tan suede chelsea boots. 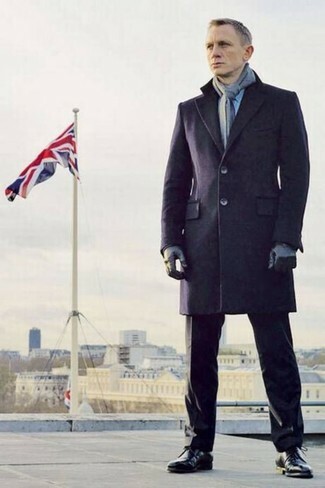 Consider wearing a navy overcoat and a navy three piece suit for a sharp, fashionable look. 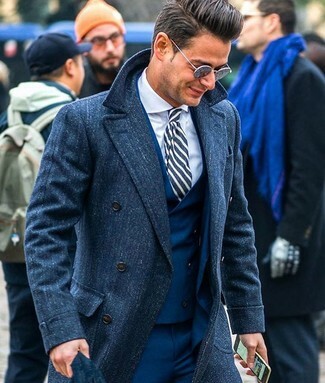 Try teaming a Tagliatore Double Breasted Coat with a navy suit for a sharp, fashionable look. Go for a pair of black leather double monks to make the look more current. 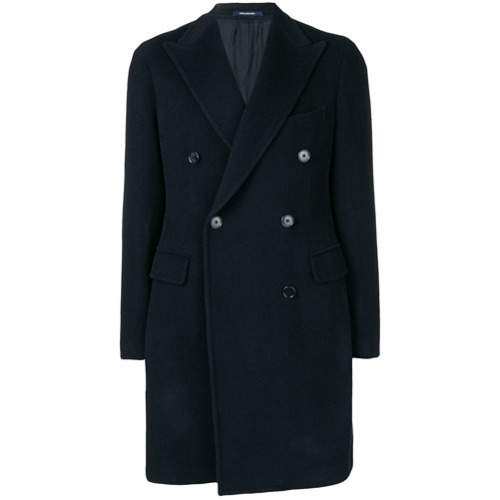 Marry a Tagliatore navy overcoat with a grey suit for incredibly stylish attire.